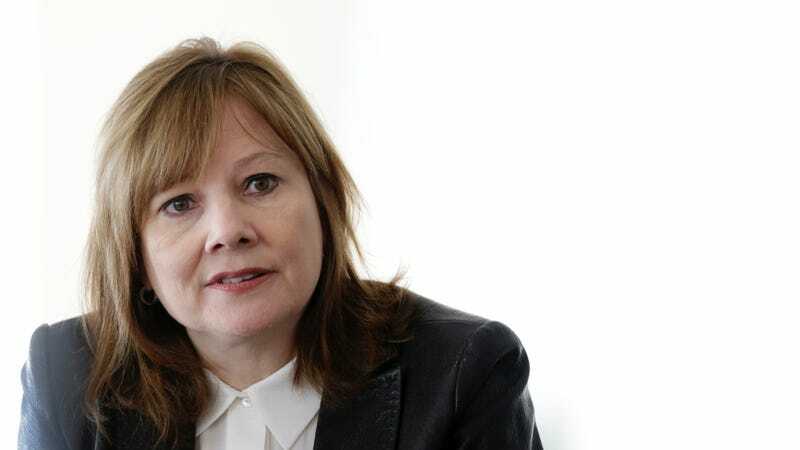 Apparently responding to last week's criticism that General Motors CEO Mary Barra will make less than half what her predecessor Dan Akerson made, GM today released the details of Barra's compensation about two months early. Turns out she'll do a lot better than Akerson did. According to the Detroit Free Press and Reuters, Barra will actually get paid $14.4 million in 2014 when salary, short-term stock incentives and long-term stock tied to performance metrics are taken into account. That's quite a bit more than Akerson, who was paid about $9 million total in his final year as CEO. GM said their April 2014 proxy filing would reveal Barra's full compensation, but after a slew of criticism in the media and from political figures they released the numbers a little early. The original $4.4 million number did not take into account the long-term portion of her pay. A whole host of news outlets — including Jalopnik, to be fair — jumped on the narrative that Barra might be getting paid less than Akerson because she is a woman, and because women at every level of the professional ladder aren't compensated as well as their male counterparts, including executives. But it seems all of us probably jumped the gun here. At any rate, Barra landed a pretty good deal here, and one that puts her closer to what her counterparts like Sergio Marchionne and Alan Mulally are paid. That's a win, isn't it?